With its slim design, this versatile, handcrafted end table is perfect for the small, neglected spaces you have in your home. 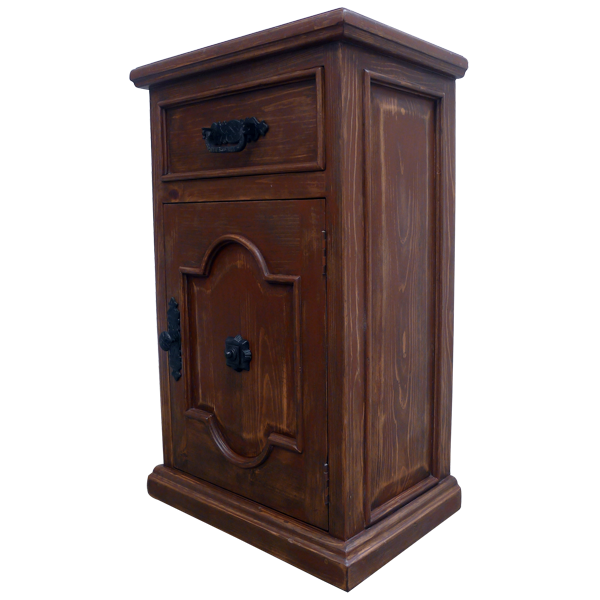 This end table features a rectangular cabinet door, and the door panel is embellished with a cut, arched design. 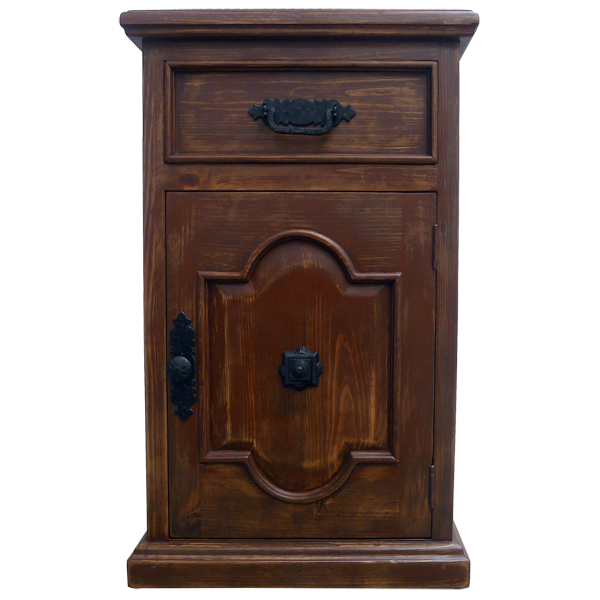 Additionally, the cabinet door is adorned with a hand forged iron concho in its center, and a hand forged, iron, pull handle on its side. Directly above the cabinet doors is a rectangular drawer, and centered in the drawer is a hand forged, iron handle. 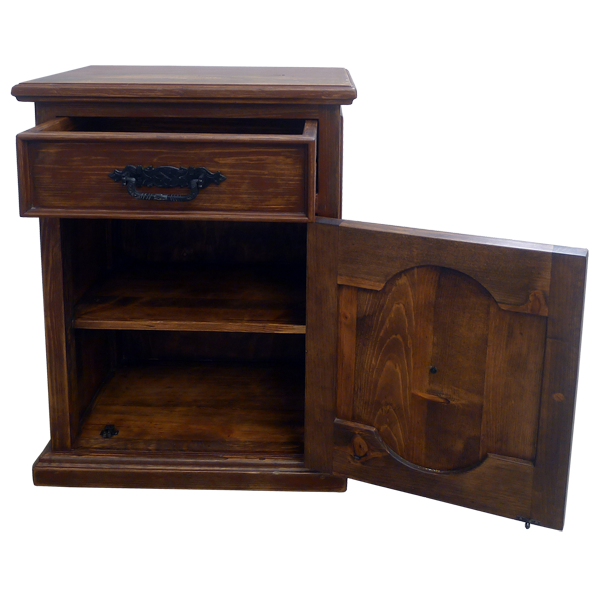 The end table is beautifully stained, and it has an inside shelf for storage. 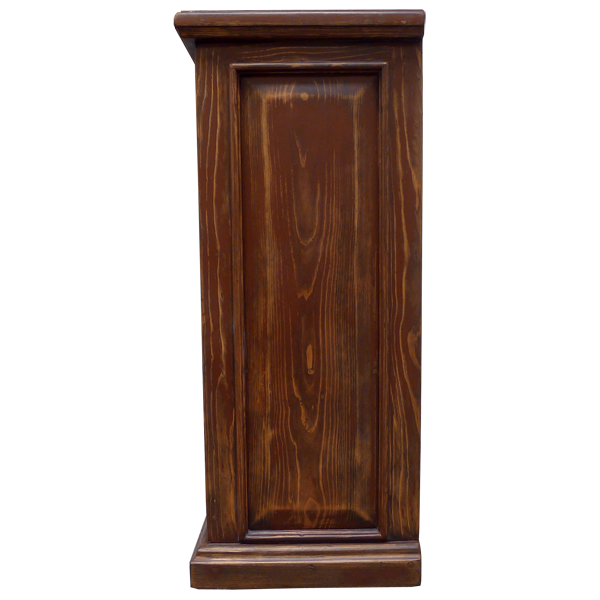 There is a decorative wood panel on each side, and the end table rest on a lovely, wood molding base. It is made with the best, sustainable, solid wood available, and it is 100% customizable.